The Centennial Museum of Tokyo University of Marine Science and Technology (opened in 1978) was established as the core project to commemorate the centennial history of the university, in 1975, when Tokyo University of Mercantile Marine, a former entity of Tokyo University of Marine Science and Technology, opened on November 1, 1875, by designating the Seimyo-maru, moored on the downstream of Eitai Bridge on Sumida River, as a school ship. Unlike a general maritime museum, this museum mainly collects and exhibits a century of educational history of merchant ships by universities and related maritime history. Temporarily closed for maintenance, etc. 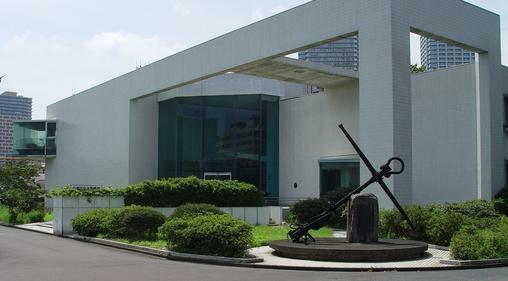 For other information for visits, please contact the administration office of the Meiji-maru Maritime Museum of the university (Phone: 03-5245-7360). From July 1 to November 30, 2015, the Meiji Era Pioneered by Ships - The Memorial Exhibition of 140 Years of Education for Merchant Ships was held. From July 1 to 31 in 2014,The Towns Surrounding the Nautical School - The History of Okawa through Postcards, etc., was held. From 2 July to 31 in 2013,The Light that Illuminated the Meiji Era - The Activities of the Lighthouse Tender Meiji-maru was held. From 3 July to 31 in 2012,The Secret Treasures - Calligraphies, Important or Registered Tangible Cultural Properties, etc., was held. From June 1 to July 18 in 2011,The Special Exhibition "To Pursue the Wake of Meiji-maru - the Dawn of Japan as a Marine Nation" was held.